Taiwanese multinational computer hardware and electronics company, Asus is one of the fastest growing Smartphone manufacturing company with lots of new features & design which are not found in other smartphones. Budget friendly & long lasting Asus smartphones comes with ZenUI, Asus’s custom skin which allows theming options over stock Android. Although there are many themes available in Asus’s Theme store, there are tones of beautiful third party themes made by Zenfone users which are not available in Theme store. 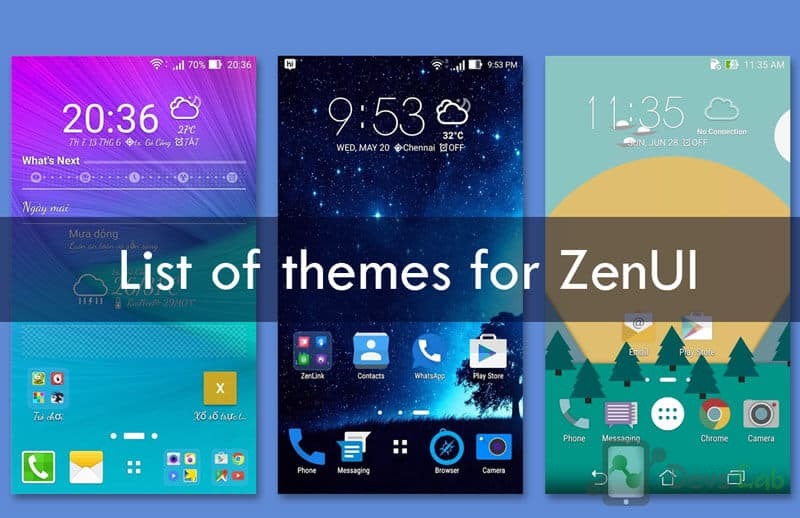 Today we’re here with list of all Asus Zenfone’s themes which are not available in Theme store & are absolutely free. You can also say it as Premium Asus themes for free. Note: Some user Can Not Found Unofficial Third Party Themes On Themes App.!! So Here Is A Solution For IT..!! Download Below App And Install it.. Ur Problem Solved..!! Credits: Devs-Lab respects each developer’s work. Credit for each of the above theme goes to that Developer. As its hard to find developers of most of the third party themes we didn’t mention any name. We have not mentioned all the available third party themes as its hard to find unofficial themes which are not shared publicly most of the times. If you are a theme developer, you can comment below or contact us to include your theme in the above list. You can bookmark this page as new themes will be added everyday. If you think that any of our post are violating any laws, then do drop us a mail and we will remove it from our site as soon as we come to it.